A graceful Peruvian form of this charming species. 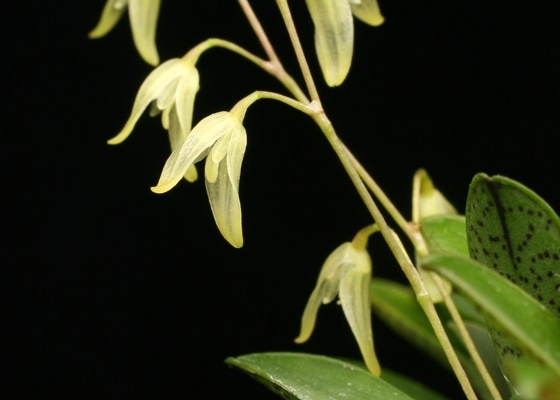 Flowers are light yellow and only about 3/16th of an inch tall. 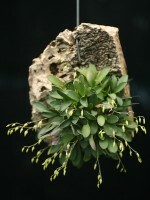 When grown on a mount, it is not long before this species encompasses its small cork mount eventually forming a tight sphere of flowering plant mass. Overall plant height, including mount, is only 4". Great for terrariums.Intermediate growing. May-June blooming. Species from Peru.